Israel should consider a pre-emptive strike against Iran, asserted former Mossad Director Shabtai Shavit Monday morning at an Ambassadors' Forum hosted by Bar-Ilan University. "I am of the opinion that since there is an ongoing war, since the threat is permanent, since the intention of the enemy in this case is to annihilate you, the right doctrine is one of pre-emption and not of retaliation. To use retaliation as the main strategy means to sit idly and wait until the enemy comes to attack you. But we are dealing with an enemy that plans all the time and waits for the opportunity to arise in order to attack, so what is the point, even morally, to wait and do something only when we are attacked?" he asked. Shavit also endorsed targeted countermeasures, which, he said, are ethical since they save innocent lives. "Countries that support terrorist organizations by granting them safe haven and material support should be held accountable, and shifting the war into territories granting haven should be legitimate. Heads of state who support terrorist organizations should be accountable and targeted. Religious leaders of terrorist organizations should be accountable and targeted," said Shavit. 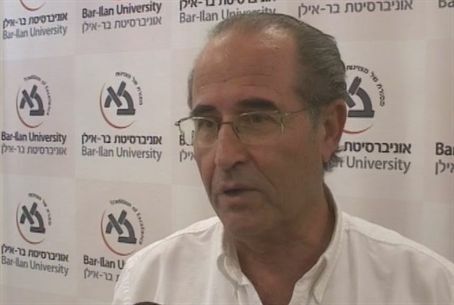 Shavit spoke with Arutz Sheva TV after the event about the reactions to the flotilla incident, what Israel can teach the world about fighting terror, and his call for a global international definition of the term "terrorism".